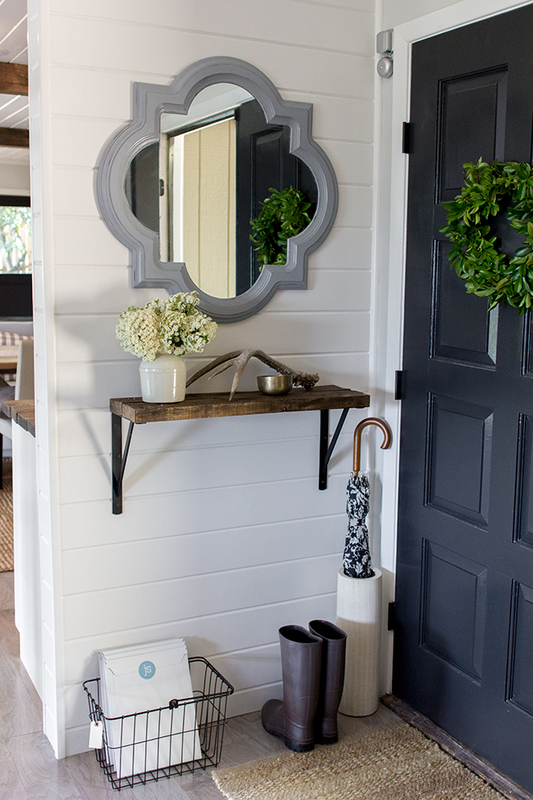 If you follow me on Instagram you may have seen a sneak peek of a little project I've been working on in our living room entryway. A project that has completely changed the look of our living room and let me just say, I.AM.IN.LOVE. If you haven't guessed it, I installed a plank wall in our living room and it looks amazing. 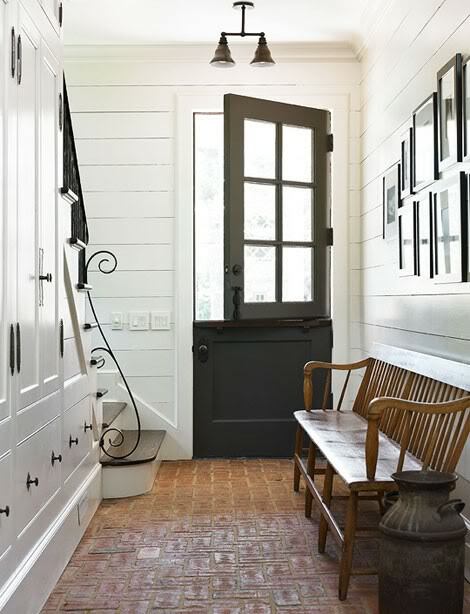 There's nothing that I love more than plank walls in a home. 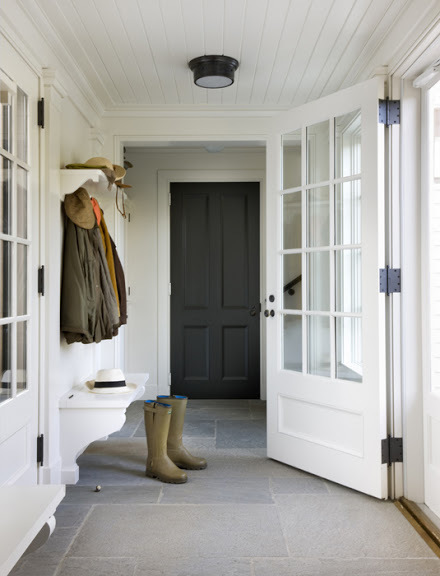 It's one of the quickest and cheapest ways to add character and personality to any space. So, before I reveal our living room wall I wanted to share the inspiration that pushed me along to get our wall finished. 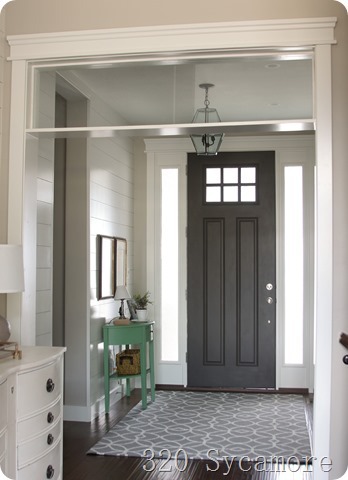 The combination of the plank walls and dark charcoal front doors are hands down my favorite. I'm hoping to finish the wall today and share the final result on Friday, so make sure to stop back to see the full reveal! 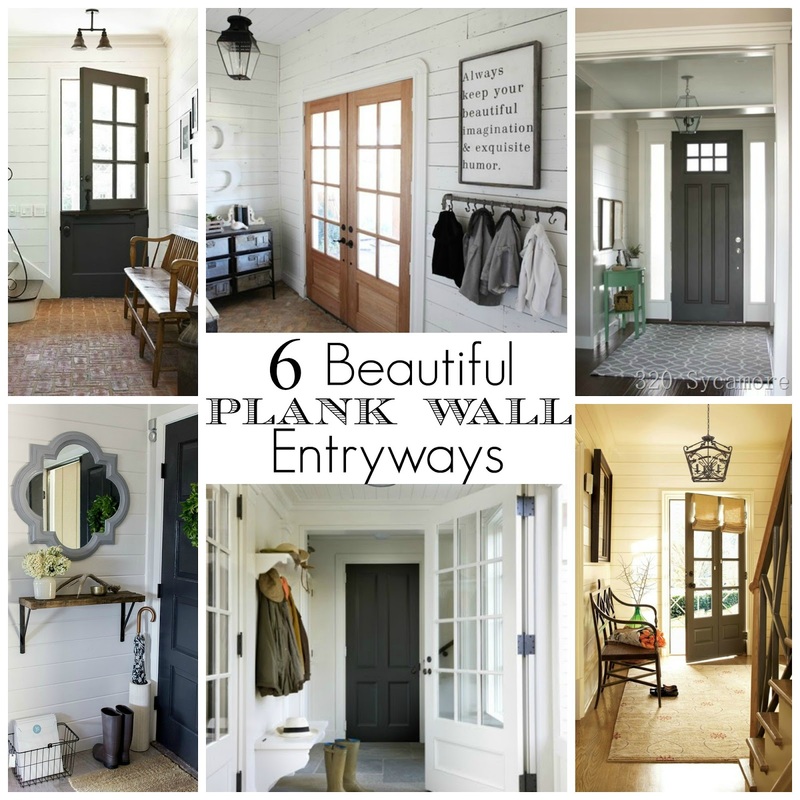 UPDATE: Find our entryway plank wall HERE!!! I love planked walls as well! You have many different possibilities with them. I´m eagerly waiting for your reveal! Oh my goodness!!! I'm SO excited Katie! LOVE plank walls and cannot wait to see how yours came together!!! These are all absolutely stunning! I can't wait to see the big reveal! I will definitely be on the look out for your plank wall! I've been thinking of doing it in our living room, so I'll be curious to see how hard it is and how affordable. 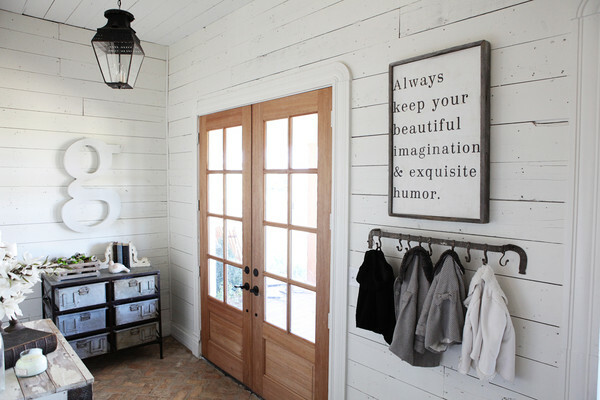 I'd love to have any of these rooms.....and I love how yours turned out! I'm so into this look right now. I'm sharing this as part of my features tomorrow at Your Turn to Shine. Hope you are having a great week, Katie!